Garage on block with favela in the background. Image from the Coletivo de Arte do Bamburral. I have been teaching art classes to kids in a favela in the north zone of São Paulo for two years now. 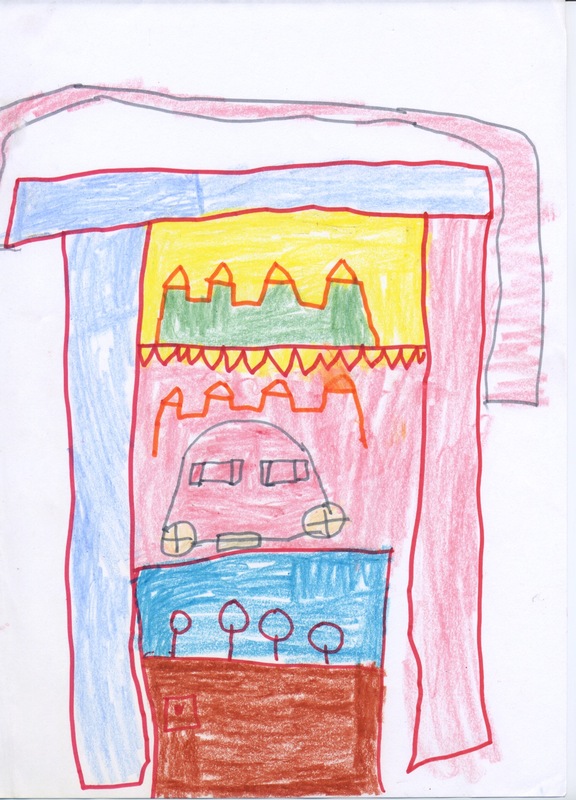 One of our staple activities is free drawing – crayons, markers, pencils, and imagination. Well, sort of. There is specific drawing that always seems to repeat itself amongst almost all of my students. It is the image of a simple pitched roof house with two windows and a front door accompanied by a brightly shining sun and a long, thin set of clouds. Where the imprint of this image comes from I am not quite sure. The TV, textbooks, children’s books, computer games, or all of the above… It is, definitively, the preferred version of the “perfect” house. I think I have seen at least one hundred slightly different versions. But this “ideal” house is nowhere in sight as you look around the masses of flat-roofed, brick homes, stacked one atop the other. In fact you will rarely encounter this image of a house in the city of São Paulo at all. 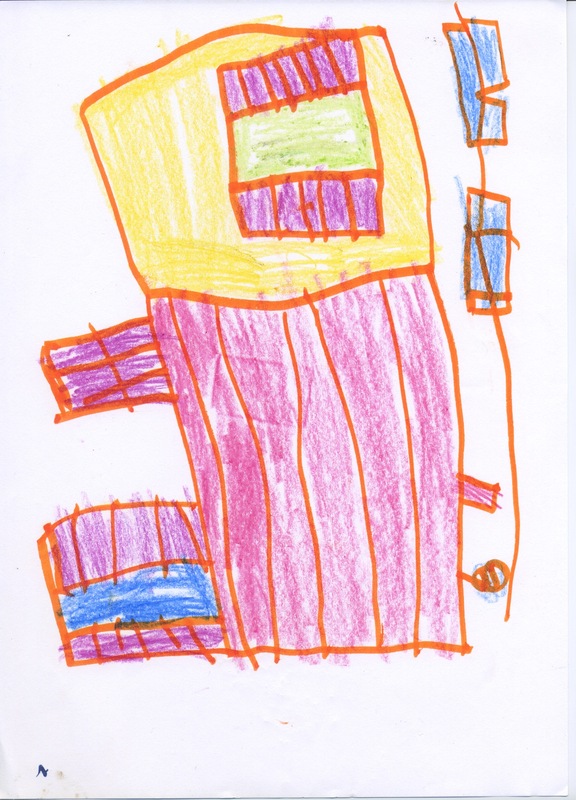 I am working with the students, some as young as six, to draw the homes on their street, in their neighborhood. The results are amazing – bricks drawn one by one, close lines stretching across decks, adorned by colorful clothing, stairs on the ground, in the sky, or carefully placed on the face of a house. But once in a while a child will squint their eyes tightly, and peering at a house in front of them adorn their drawn representation with a peaked roof. 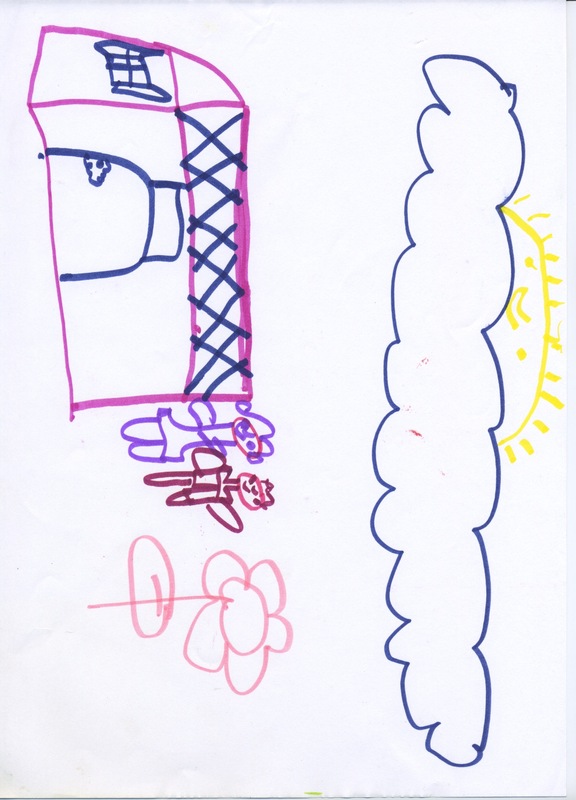 Sometimes I ask them to look again, to explain to me what is different between the drawing and the physical house. Giving me a puzzled look the response is often “but teacher, roofs are like this”. “But teacher, roofs are like this”. House on block, with a pitched roof. Image from the Coletivo de Arte do Bamburral. Much of my work is about finding the unique, specialized, collective, and ever changing spaces and buildings that make up favelas. It is about looking for spatial qualities that reinforce community and thread together the peripheries of São Paulo. 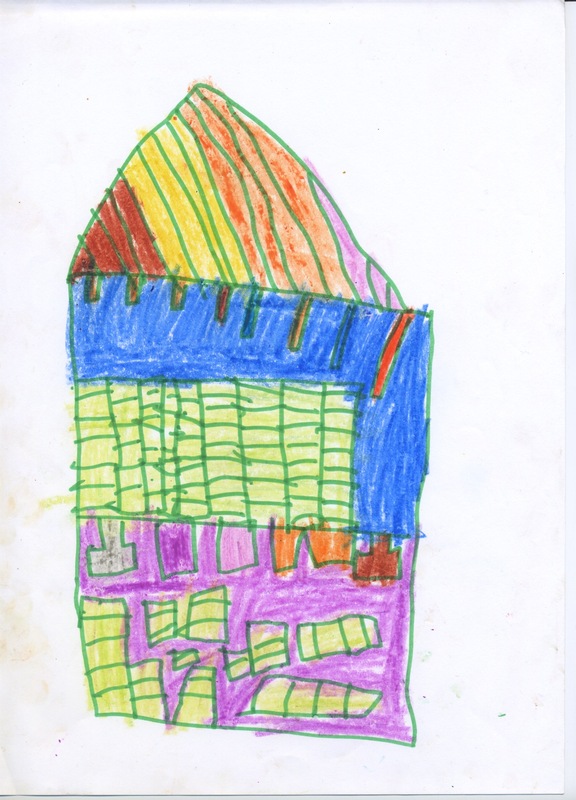 As I flip between forums about favela reurbanization and public housing and drawing activities with six-year-olds, the deep-rooted aesthetic value gaps begin to surface. The perfect house. The pitched roof. The formal city. Ideals ingrained before we even begin to read, a structural stigmatization so wide that it permeates math books of public schools. I wonder how this influences not only a kids vision of their neighborhood, but a whole community design process through which people are asked what their ideal house is, what types of spaces they would like to see. And more, how might this change when kids (on both sides) grow up with broader image of what a house is, what a neighborhood is, and ultimately what a city is. House on block. Image from the Coletivo de Arte do Bamburral. I love this post, thanks Karen for sharing this with us. I think it is a fantastic idea… to see how kids view their city and neighborhoods and also evaluate at what time in development they became aware of their differences between their homes and the rest of the city.